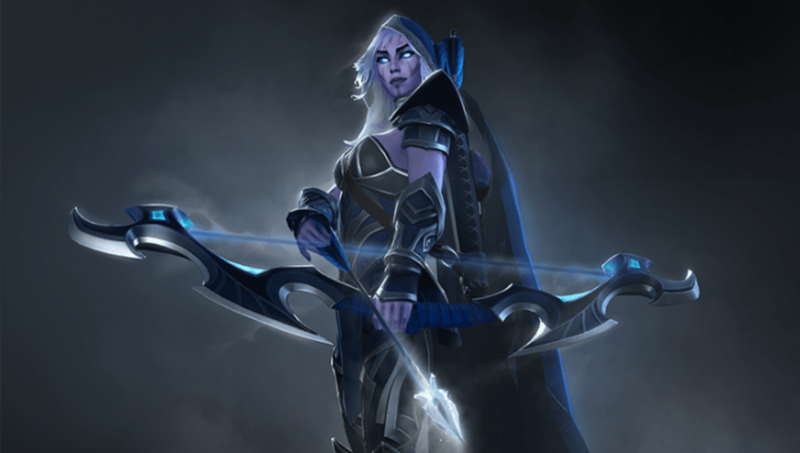 Drow Ranger remodel is one of the headlining changes in the latest Dota 2 live client update. The remodel is subtle, but substantial. Check it out below. The changes to Drow Ranger's model affect everything from her outfit to her facial tattoos. The most noticeable change is the toned down sexualization, as the new model gives Drow Ranger some actual pants instead of what are, I guess, just thigh high socks and a loin cloth.​ It also closes up the belly window that used to decorate her armor. The redesign sports finer detail adjustments as well. Drow Ranger's eyes are cloudier, brighter and less human, and her face tattoos are much more clearly defined. Her armor is more textured, and sports more intricate designs. Even her cape is a significantly brighter navy blue (though it's still Drow Ranger dour). On the whole, the remodel is a resounding success. The latest Dota 2 update also introduced Mars, the newest hero in the game. Here's a ​full list of Mars' abilities and the ​three best features about the new playable character. ​Dota 2 Patch 7.21c also brought buffs to Phantom Lancer and Techies.